Red Alert 2 is fun. It’s even more fun to play it against a human opponent. For example through a LAN. Here’s howto. How to: start – settings – Network and dial up connections – right_click on the network device – properties. A new window will show up with a list of services and protocols. Click install and select add protocol. 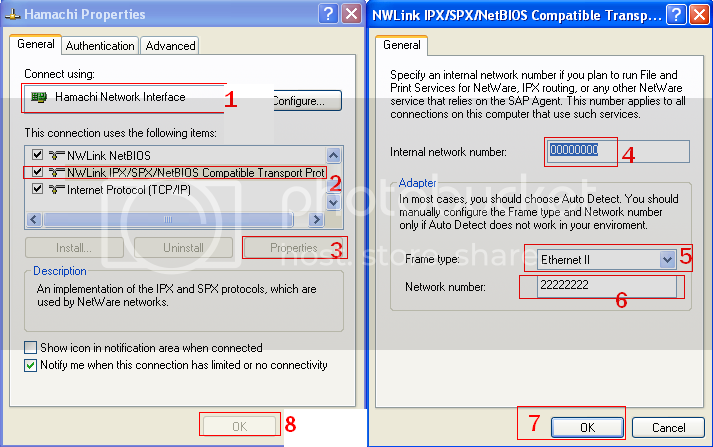 Select the NWlink IPX/(other protocols). Now select properties of this new protocol. Internal Network should be 00000000. Under frame type, select 802.3, or experiment with 802.2 or ether II. Change number to a unique network value on both computers. ex: computer1, 00000001. computer2, 00000002. Click ok.
Configure RA2: Options – Network, select the same MAC address in the drop down menu as you took in note the first time. Leave everything else as default (empty). If this fails, try selecting different socket numbers. Re-install RA2: Only if nothing else works. That is a last resort, only if you have a software glitch somwhere that doesnt allow RA2 to recognise the new IPX configuration. In my case my original RA2 cd-rom didn’t work, but after removing it and installing an “illegal” version downloaded from the internet it worked! Probably due to the fact that it’s a “fresh” Red Alert 2 installation. When users see each other name in lobby but created game is invisible – the reason in lan adapter troubles or in hamach. There must be active only one lan adapter. When active hamachi adapter and your real lan adapter you can see this bug with lobby connection. У кого в lobby видны имена игроков, но при создании игра не видна, значит проблема с сетевым подключением. Такое бывает из-за hamachi, когда он добавляет своё дополнительное сетевое подключение по локальной сети, тогда его просто надо отключить – мне помогло! BTW i dont have the original CD i downloaded this game from the internet so i cant updatE??? any help plz? ?any one know how i can fix this problem?!!! and Thx…….. This is the best instructions i have found for playing ra2 anywhere. follow them exactly and it will work. I installed the IPX protocol, but in RA2 it still says IPX NOT AVAILABLE. Any Ideas? I have problem ““there is already player serial # in that game ”. I have read that should enter “LAN-Play-serial”, but i have “portable” series *(just copy >> then we can play), what should i do to fix this problem? JUST GO TO THIS SITE AND DOWNLOAD..
DOWNLOAD THE RA2/YR LAN fix (XP, Vista, W7 – x86, x64) CLICK THE DOWNLOAD.. This file makes Red Alert 2 and Yuri’s Revenge work on LAN even if you don’t have IPX/SPX installed. IPX/SPX can be installed in XP, but not in Vista. The file is compatible with all versions of windows XP, Vista and Windows 7. The file is already included in my mod, but I’m making it available for all that want network support for the original RA2/YR or other mods. To install this fix, just extract the .zip into your Red Alert 2 or Yuri’s Revenge directory. Thanks a lot everyone. It finally worked for me. I was trying to play over two laptops connected through my home wireless network. After installing the IPX protocol, you need to give them the same network number. In the RA2 Network settings, I selected the correct Network Card (known from using ipconfig/all in cmd), used socket number 12 on both machines and Destination Network number 00.00.00.00 on both machines. First I was having the same problem as Stubert above, but once I set the same network number in IPX, it worked. 2. install IPX, i assume you knew how to do that..
2. back to main menu > network… Voila……………… you make it..
this working properly in the same OS… ( all my pc use winXP3 ), and using Switch LAN. This is meant to help all those who can see names in the Red Alert 2 lobby, but unable to message/create/join games. I’ve been stuck with this problem for a long time. After installing RA2, get the patch from the following website and install this patch. Install Hamachi version 1.0.1.5. The later versions seem rather buggy. Follow the instructions in this picture. If you are using a router, this is the most important part: you need to do portforwarding for hamachi.If you don’t, you will only be able to see other people’s nick names but not able to message/create/join games in the RA2 lobby. Open up TCP/UDP port 3840 for your pc. Last step: Open up Hamachi’s preferences > Status >Connection Detailed Configuration. Check both boxes for UDP and TCP. Enter 3840 for UDP and TCP. Click ok. You should be able to mesage/create/ join games in RA2 now. help….both my laptops are connected through lan…. we can see each other on the lobby,join games,chat,and basically have the same red alert 2 file……..
but when the game is starting it says that the other player does not have the same map……..
You don’t need to put the winsock32.dll into the game folder. Wanna know why it doesn’t work? 4) I had my ESET SMART SECURITY ON and windows firewall service stopped. 6) You .. I dont believe this – MUST RESTART THE PC after applying this patch! Vateee’s (2 comments above) method actually works!, no IPX needed!. I just selected 00.00.00.00:00.00.00.00 as network card and thats all. I didn’t even need to set port number or anything. GUYS! I GOT IT WORKING WITH HAMACHI! So.. You don’t have to use any ipx protocol. What I did was that I downloaded the lan patch from http://www.moddb.com/games/cc-red-alert-2/downloads/ra2yr-lan-fix-xp-vista-w7-x86-x64. Copy it to Red Alert 2 main directory. Launch the game and go to options > network. Now you should see 00.00.00.00:00.00.00.00 in the “network cards” field. I did this but it still didn’t work.. I mean, when I clicked “network” from the main menu, it gave me a blank screen and then it returned to main menu. I tried almost everything and I spent over 2h working with this problem and how did i got this working? The answer is: I put “0” to “socket number” field in the options under the “network cards” field and then, like magic, it worked! Only problem is that I can’t see my friend in the lobby but he can see me. When he creates a server, I’m able to join so i’d say that this worked. hey, anybody could solve our prblems here. since, I cant read any answer, i hope somebody out there can help me. it can view now the network option for RA2, but the problem is it cannot display or other pc can’t view that options to join. hey dude. How do I install Active X control In windows 7 32 bit ultimate. i would like to play ra2 again…i installed Hamachi but can’t get any networks working that were listed…. Internal network number must be different for all computers. Internal network number should not be left at 00000000. it should be 00000001, 00000002, 00000003, 00000004, 00000005 and so on. erm when i press on network nothing shows up =( i press on it and it returst 2 the main menu nothing happends well any 1 can help? already installed the LAN patch stated above on Laptop1(VISTA) and it works great on it. But this does not apply to Laptop2(WinXP), having the LAN patch and clicking the network button on the RA2 menu only refreshes the menu screen on RA2. Question: Does the LAN patch applies only to VISTA and not on XP? I have tried Laptop2(XP) without the LAN patch, and goes in the network section, but have only the JOIN button. It cant host any game. It will allow UTP connection, good since vista won’t allow IPX protocol anymore. Im also having the same problem… I only get a join button on the network section. Can anyone help me on this? i kept on having a message “there is already player serial # in that game ” when joining a game..what’s wrong?? how could i resolve the issue?? i’m using the understorm, wsock32.dll patch..
Hi. When using the understorm wsock32.dll patch, I get only a join button in the network section. In addition I cannot see anyone else on the network, nor can I see any games. Any advice? pull the .dll file into C:/WestWood or whatever direcotry ur Ra2.exe is located !!! REALLY WORKS!!! THANK YOU SO MUCH EVERYONE !! I don’t know why, my list of MAC adresses includes only MAC of wireless card. What i got to do to make my LAN card visible in the list? Hej, how about with 3 pc’s? doesn’t seem to work. I was having an issue earlier with a dektop and a laptop both hooked up to a router and for some reason when clicking on “Network” in the RA2 menu it would do nothing. The screen would basically just refresh. After downloading that file all you do is stick it into your game directory… THAT’S IT!! I have a problem with my Red Alert 2. I want to play online with my friends, but I can only play on Network, when we are on the same network (for example at my friend’s place). I’ve installed a patch for that and it worked with no problems. I am using Windows Vista, and can someone please help me step by step how to get Ra2 running on internet so I can crush my enemy-friends ;)? if you want to play Red alert 2 or Tiberian sun across LAN just download this patch [broken link removed] and extract the file into your game directory. It changes old IPX conection. I and everything works perfectly. can anyone help me!?!? i have a computer hooked up to a router wirelessly, another computer hooked up to a switch and then hooked up to the router. both computers have working internet finaly, both of the computers are able to go to the lobby but they can not see eachother, can anyone plz help??? I installed Hamachi and everything and played RA3 with a friend. I added some Hamachi networks, and there are a few online. Do you know what I should do? 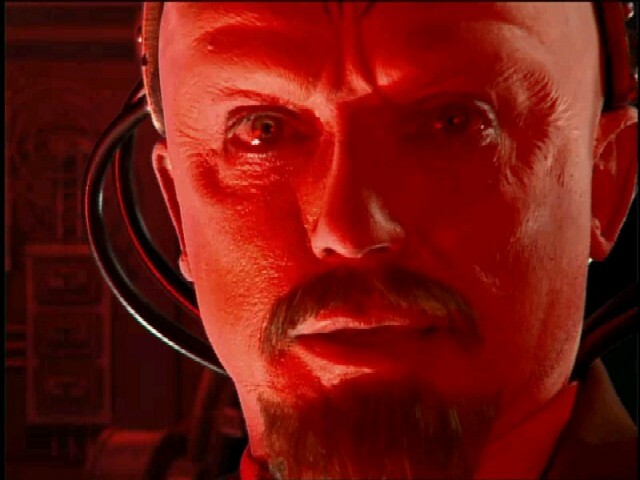 If you want to play Red alert 2 Only .No tank rush.No super Weapons.Then add me in MSN messenger and send me an email so i can identify you. We are : November 2008 and Red Alert 2 Is Still The best . Oly tested with Hamachi v 1.0.0.5 or v 1.0.0.62 .If it works for newer versions please tell me by mail. Long Life For Red Alert 2 !!!! * By the way i have a new announcement out of context :I’m looking for good friends from all over the world to build a network of people who will be the ambassadors of their country.If you are interested and have a facebook account contact me by mail. Hey guys,is there more servers on hamachi that are avaliable,because I can’t find any that has players. Anyone got it working correctly without any problems? If you add all of these networks, there will almost always be someone to play with. Yah, IEEE authentication has never been enabled on any computer I’ve ever used, ever. I have no idea what the crap it is. I just repeatedly got an “Access is denied” error whenever i tried joining a game, until i went into the Properties section of the Hamachi network connection and unticked “Enable IEEE 802.1x authentication for this network”. After that, it started working fine. This also let it work on Hamachi, too. Just for the record, I have the Internal Network Number and Network Number set to “00000000” for both PCs, and frametype set to Ethernet 802.2. Hey this is a good article, I also posted a detailed walkthrough on how I successfully got my computers to play! Tried a game the other night on a win xp sp2 machine – turned off firewall (NIS 2008). Long time since i played this game – very cool! You are never going to find properties for the ipx protocol. Even if you have installed the ipx fix for vista, you will still find the text “ipx not available” in the drop down menu. I was trying to play the Yuri’s revenge on lan bt in one of my pc’s i don get the new game option only the join button is visible plus it cannot see the games that are created using the other pc so i cannot join. In the other pc everything is working. Im currently trying to set up a hamachi network for gaming RA2YR and some other stuff as well, so everyone who wants to play few times a week could sign in there and we could all together try to establish some games. thank you for the help. orayt! (or at least it seems like it) HOWEVER i CANNOT go to properties of the connection, configure the socket number and stuff like i did with my bros one. Also Red Alert 2 (the coolest game in the world (with Yuri’s Revenge)!!!) doesnt recognize i’ve installed it… Everything is fine till here. Any help with how to go to properties of it nd change it nd make Red Alert 2 recognize i HAVE IPX installed? Thanks and really, help would be GREAT! Yes. Finally I did it. It works. I had a problem like many others. I’ ve seen second player in Lobby but, I haen’t seen Game. Now everything is ok. It works. I just entered in the IPX protocol properities: 22222222 for 1st pc and any other ( I’ve entered 22222223) then type of frame: Ethernet II adn external network as 00… in both PC’s. Macs in game as it is. If you had read other posts, you know which. I haven’t instaled any updates or other, but I suppose that the serial number must be different. oh… I have my PC connected through wire to the wireless router. The second is Laptop connect with the router wirelessly. I hope it will help U.
but we somehow can’t configure it the right way, and I also have problems playing it over LAN. so please if anyone could help me configure it over MSN, or xfire I would be thankful. Hi.. can anyone help me in my problem? cant set up for IPX to my Vista….any solution? I did waat says avobe but, both cps are working with their own network and can’t see each other. But when I put on both computers the same netwok number the see each other but we can’t chat, and when one creates a game, the game doesn’t appear and the one who created the game disappers from the lobby. this may sound weird but im trying to play ra2 online witohut installing the game. I have the game but my folks wont let me install it on my new computer. does anyone know how to solve my problem? if you happen to have one computer with the first decade version of the game and the original, there might be some compatibility issues. I resolved this by renaming ra2, ra2md, language, langmd (all .mix files in the YR directory) as .mixf files or something else to make them unreadable, and then copying the original YR disk files onto the first decade computer, which allowed the computers to recognize each other through a regular ethernet cable and IPX protocol. I don’t know if it will work with computers that are not directly connected, but it’s worth a shot. also, my friend and I are still having problems connecting with Hamachi. One is using 802.3 with network number 00000001 and the other is 802.3 with nn 0000002. Not sure what’s wrong, we can’t see each other in the lobby. Any idea what screwed up? I’m having the same problem as sab. Anybody have any suggestions? Thanks for the advice above, my friend and I can now both see each other in the lobby, however, when either of click ‘New’ to start a new game we disappear from the lobby without the new game appearing for the other to join. * TO PLAY OTHER GAMES LIKE HL YOU NEED TO EDIT THE ALIAS.TXT FILE AND ADD OTHERS IPs . Long Life For Red Alert 2 !!! Ive been trying to get RA2 to work over lan/hamachi for a while now, it seems that its really dependent on your network configuration. So far i’ve managed to get it running between two virtual machines connected using a virtual switch with IPX protocol installed (and left on auto configure) so i know everything is fine there. there is a really simple way of checking if IPX is working properly, there is a utility called dxdiag (start > run > dxdiag > ok) on the network tab test direct play has an IPX test. As for settings in RA2, i went for socket 12, network 00.00.00.00 (same number that was defined in the internal netwok number in IPX settings), Choosing the adapter is a different matter, the hex numbers dont represent the MAC address, they represent the IPX node binding, you can see them buy typing “ipxroute config” into cmd. I hope this info helps (if not confuses anyone even more). Just remember, there is no single setup that will make it work for you, you just have to check every point along the way to make sure everything works like you expect, start from simple wired network then try bigger. RA2 is an awesome game with just the right balance, i think it deserves a really good remake that does it justice. But anyway, tomorrow im going to try my virtual machines over hamachi, If i get it to work i would love to play some of you guys, you can contact me on msn fx3_hdrive squiggle hotmail.com (damn you spammers) or 497808608 for ICQ. It seems to install the protocol, but I cannot modify its properties, nor does Red Alert 2 recognize that I have it installed. Is there a way to get around this, or is Vista just not able to run RA2 LAN? Thanks! Without your help I would have been lost! Got RA2 network game working perfectly between 1 wired pc and a wireless laptop. So that’s the problem… could there be a problem with my router? I’m using Hamachi, becase I have a router. So, I set up on my hamachi network connection on control panel the IP protocol. The internal number left it at 00000000, picked Ethernet 802.2 and network number 00000001 for me and 00000002 for my friend. Hamachi frame is 802.2, well I think trying others is pointless, no? Sorry Lima, I can’t help you with the information you provided. Please copy the message into Google and find out what it means or paste the complete message in here. I type down on CMD ipconfig and it says something blah blah doesn’t exist oO wth? Hey thanks for the quick reply! I was hoping someone made a guide like that- I’ll try it out when I get a chance. do you have any tips on how to get it to work over hamachi? My friend and I set it up the way you said but could never see each other in the lobby. And what should we enter for the “destination network” in RA2’s lan setup screen? Yes, the MAC address is the physical address. I don’t know the error you mentioned about the westwood online support library not being there. Maybe reinstalling the package after removing it completely might help? ok i get it.. but the mac adress is the physical address? and it says on the internet one, westwood online support library isnt there or not installed right, so what up with that?